By monitoring queries, this tool will generate queries to improve their performance. Options for partitioning existing production Postgres tables, and trade-offs to consider. Mitigate Risk. Evaluate BEFORE you Migrate with a 2ndQuadrant Migration Assessment. Get an upfront evaluation of what will be required for a smooth migration without loss of data, unplanned downtime or unexpected expenses. 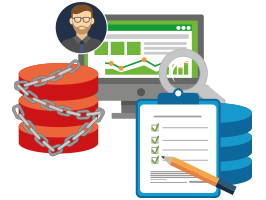 A PostgreSQL Migration Assessment can help mitigate risk, identify blockers, & estimate effort and cost. PostgreSQL 9.3 introduced a new kind of join that can run a subquery over each result from another table or subquery. How Statsbot constructs SQL queries for conversion funnel analysis. How does the latest version of Postgres, still in beta, fare performance-wise? A tool for managing PostgreSQL logical backups created with pg_dump and pg_dumpall. Zalando has released an operator tool to help manage Postgres clusters in Kubernetes. Graph and correlate 50+ Postgres metrics with data from the rest of your infrastructure & apps. 14-day free trial. Put a row into a table and get a message sent to RabbitMQ. Ideal for more decoupling in your apps.